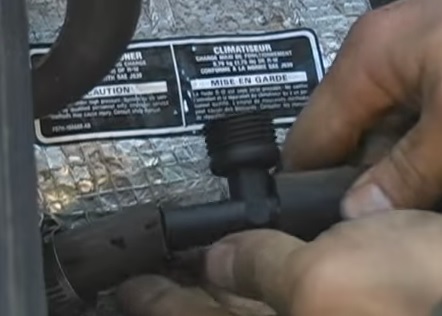 Flushing a radiator is a easy task for the DIY Backyard Mechanic. Precaution should be taken mainly that the engine must be cold. Never open a radiator cap on a hot engine as it will have built up pressure that will explode out possibly causing injury. 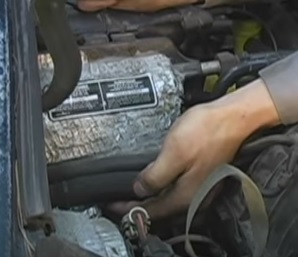 Since radiator fluid is damaging to the environment be sure to dispose of it properly. Also be sure not to leave open buckets of radiator fluid around pets as it is poison to them and they may try to drink it. A flush kit will be needed in this example we are using the popular Preston Kit. 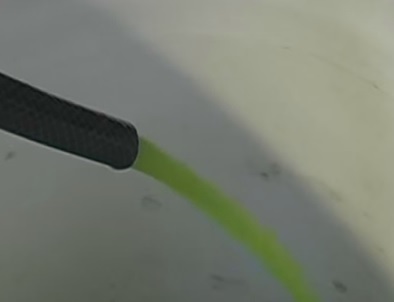 Antifreeze is also needed when refilling the vehicle with fluid. Two hoses go to the heater core through the firewall. 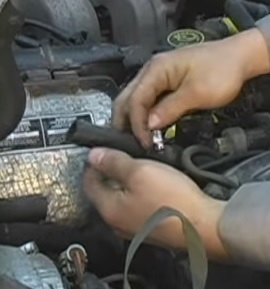 The Inlet hose is used to flush the radiator. One hose lets fluid flow in (Inlet) and one hose lets fluid flow out. Sometimes they are marked on the firewall. If there is no marking follow the hoses, the Inlet hose will go to the top of the engine. 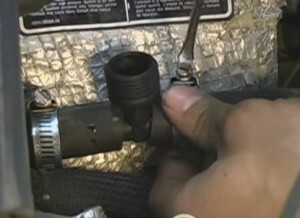 The Outlet hose will go to the bottom of the water pump. 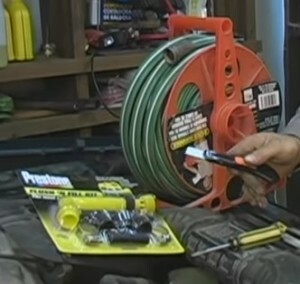 A T-Unit will be in the kit and is connected at the Inlet hose. 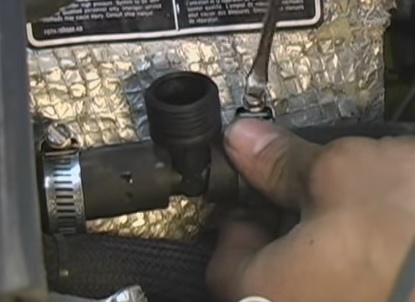 A flush kit comes with different sized T-units to match the Inlet hose on your vehicle. Cut the Inlet hose so that the T-unit can be centered into it. 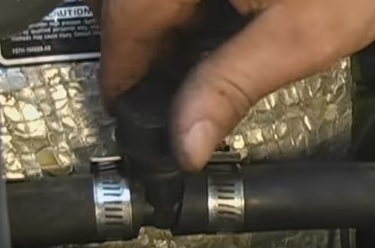 Slide the hose clamps onto both ends. 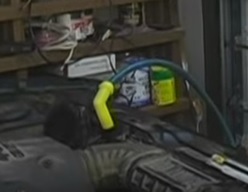 Insert the T-Unit into both ends of the hose. Center the T-Unit so it point up and tighten the hose clamps. A cap is included in the kit that screws on after the radiator has been flushed. Take a garden hose and connect it top the top of the T-Unit. 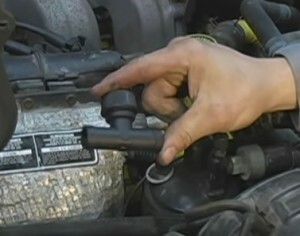 The radiator cap is where fluid will come out. 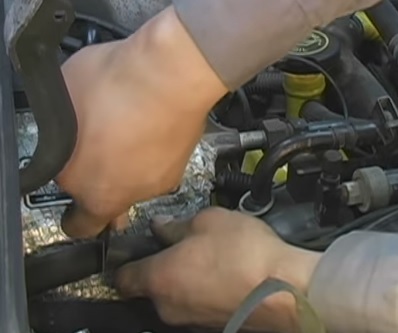 Use the attachments to feed the old coolant into a bucket. 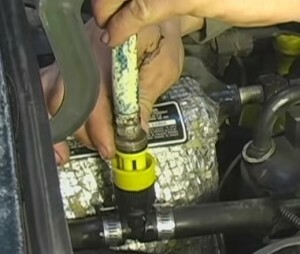 Turn the garden hose ON to start flushing the vehicles coolant system. Start the vehicle and set the heater to High. The old fluid will begin to run out. Five minutes of flushing is good for most cars and trucks. 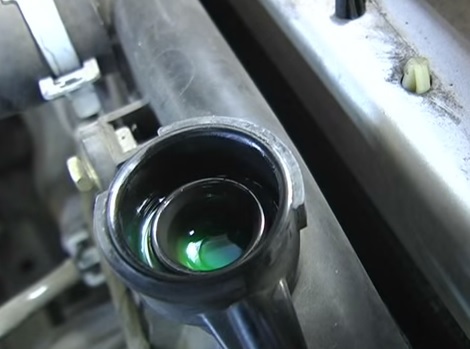 Refill the vehicle coolant system and close it up. The above is a basic step-by-step guide to using a flush kit to clean up a car or trucks coolant system and radiator. Always remember to use safety precautions when doing any mechanical work. Since the location of part on vehicles often defer it is a good idea to get a manual on your car or truck for a quick reference. I’m dealing with a used 2001 Dodge Durango that had engine replaced(180,000 miles on it) and replaced by professional mechanic with used engine (115,000 miles). Engine runs great with tune up etc. I had the engine coolant flushed twice by Quik Lube and rust still in system. I used Zerex and Preston’s flush solutions and after numerous flush rinses the coolant is gone but rusty water still appears. It seems like maybe clearing but not really. My next move was to drain engine block but drain plugs hard to remove even with beaker bars. I’m thinking about buying the Preston’s flush kit and installing, but I feel like I’ll be doing what I already did repeatedly: fill up distilled water, start engine and heat up to open thermostat , heater in full blast, and run throughout system , drain and repeat . What will the kit do to better rid system of rust? I had the same problem with a 1985 K5 Blazer. 200,000+ miles. Full of rust. I read a ton of info and what worked best was to drain the radiator, fill it with 1 gallon of white vinegar and top it off with water. Idle with radiator cap off and keep filling with water until full. Put cap back on and drive for about a week. Then I used this flush kit as directed here. It cleared out decades of rust and got it super clean. You can repeat this process if needed, but mine was cleared out after doing this once. The vinegar is safe on all of the coolant system components and transforms the rust into a liquid to be flushed out. Ok so it is flushed out. Now haw do you refill the system with the right mix of antifreeze. After the hose is removed the system would be full of water. You need a 50/50 mix of antifreeze here in the Northeast or you will have a freeze up.